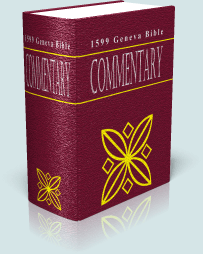 The Geneva Bible Footnotes SwordSearcher commentary module includes the Bible study notes from the 1599 edition of the Geneva Bible. Difficult and apparently contradictory verses are explained. The Geneva Bible study notes are Calvinist and Puritan, and in fact John Calvin wrote the preface to an early New Testament edition of the Geneva Bible. The Geneva commentary is decidedly Reformed in character, and much of the exposition highlights scripture that contradicts the teachings of the Roman Catholic Church. The study notes from the Geneva Bible proved so useful and popular that even after the King James Bible replaced the Geneva Bible as the predominant translation, demand for the Geneva Bible study notes resulted in several editions of the King James Bible being printed with the Geneva study notes. 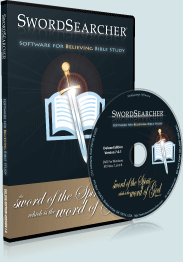 SwordSearcher also includes the 1587 Geneva Bible text (GB Bible module) retaining the original spellings.